v0.79 see change log for details. v0.78 see change log for details. v0.76 see change log for details. v0.73 see change log for details. It's not clear how well things will work once we have lots of pictures, so add pictures. 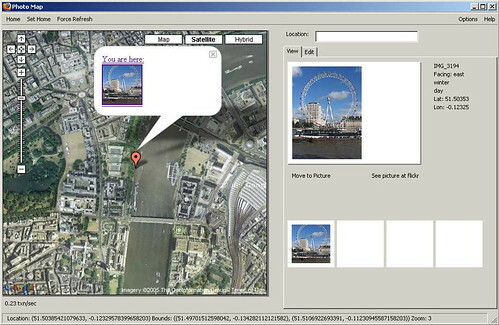 For questions or comments about photoMap, please send a message to the author. The photomap project can be contacted through the mailing list or the member list.